Saint Louis University is a top nationally-ranked university with over 200 years of history. With campuses in the US and Spain, you will receive a quality education designed to prepare you for success in your chosen field. #106 National University (U.S. News & World Report 2019). #36 Best Value (U.S. News & World Report 2019). Best Buys in College Education (Barron's 2016). If you meet the specified language and academic criteria you may apply directly to Saint Louis University. Saint Louis University is an institution that nurtures students' values so they can achieve academic excellence, ground-breaking research and a strong sense of faith and service. 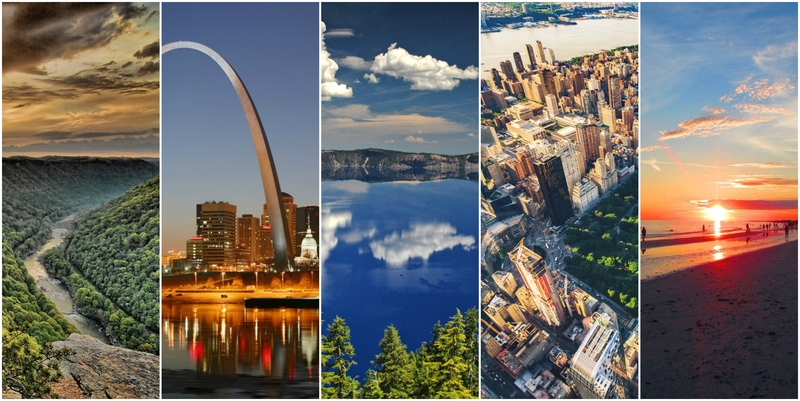 Known as the "Gateway City," St. Louis is rich in American history. This is most symbolized by the giant stainless steel Gateway Arch, standing 192 meters high on the banks of the Mississippi River. St. Louis claims a number of other significant cultural gems like Forest Park, which is larger than New York City’s Central Park and contains the city’s free zoo, art museum, science center and history museum. The City Museum is another must-see cultural landmark, combining art and fun through recycled architecture. The on-campus residence halls are the best place to call home at Saint Louis University. Our residential communities support your academic pursuits and challenge you to grow as an individual. Developing relationships with peers is vital to your growth and success in college and we designed the residential communities accordingly.